Here at Oxygen we are at the forefront of trampoline park safety. 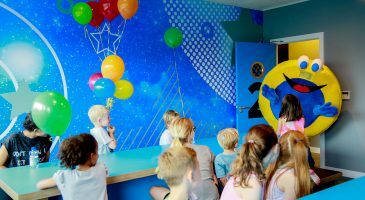 From the moment you jump through our blue and yellow doors keeping you safe is our top priority, with everything we do geared towards entertaining happy, safe Freejumpers! Select a topic below to read about how we make sure you’re safe and sound at all times. They’re not just for show! Our snazzy yellow jump socks are there to keep you safe. The soles of our socks are fitted with tiny rubber dots, which give you awesome grip on the trampolines, stopping you slipping! We require every Freejumper to wear jump socks, which you can use again and again- and at just £2 a pair, you can’t go wrong! It’s very important to understand the rules, follow them, and stick to the guidelines. In our view, safe jumping is fun jumping (and fun jumping is Freejumping!). Our rules are clearly displayed around the trampoline parks – you can’t miss ‘em! All jokes aside, we train our staff to the highest standards of safety and customer service. We also hand-pick the crew not just for their superb Freejumping abilities, but because they know how to have fun! 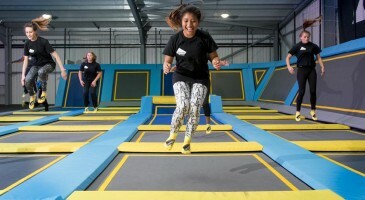 So next time you are in the trampoline park, say hello, they can’t wait to meet you! We also have dedicated staff to make sure each and every piece of equipment is safe to use. (And with over 10, 000 individual springs making up our jumping paradise, that’s quite a task!) If the equipment isn’t 100% ready to use, we won’t let you use it. No ifs, buts, or Freejumps. Trampolining is an extreme sport. 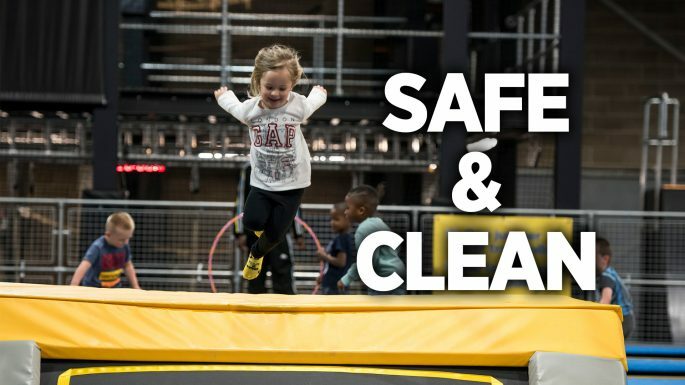 (No seriously, it’s classed as one) Nevertheless, we have some basic rules and guidelines to follow on our trampolines that will ensure you have as safe a Freejump as possible. / Always jump within your skill level. Fancy trying something tricky for the first time? Our giant airbag is the place to do it. Although you should still remain in control, it provides a soft landing for even the most epic of leaps. 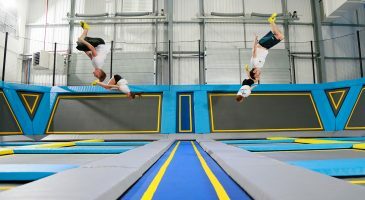 If you really want to learn some proper skills, join our School of Trampolining , where British Gymnastics qualified instructors will take you from basic bouncer to trampoline trickster in no time! We know our trampoline parks are perhaps THE best places to get truly Instagram worthy shots. However, any phones or cameras brought into the park are at your own risk – we would hate for your valuables to take a tumble over the trampolines! We know that cleanliness and hygiene is a big factor for all you Freejumpers, Mums, Dads, Grandparents, Aunties, Uncles, and more! 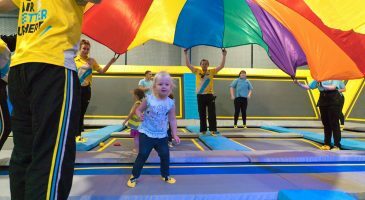 Have you ever been to a trampoline park, play area, swimming pool or somewhere similar that hasn’t been kept up to scratch in terms of cleanliness? It’s not nice is it. That’s why we have a dedicated team working round the clock to make sure the whole trampoline park is as spick and span as can be for all you Freejumpers and spectators. Could we do better? If you’re an Oxygen fan but think there’s something we could improve on, we want to hear from you! Pop your name, email address and your message below to drop us a line.